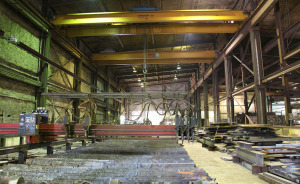 United Specialty Alloys has been in business since 1990 and is focused on custom computerized steel plate burning. Located in St. Louis, Missouri, we are a family owned business serving a wide range of customers providing burnouts from 1/8” thick up to 22” thick. We also provide saw cutting up to 40”. In 2006 we relocated to our present 75,000 sq. ft. facility at 600 E. Athlone, St. Louis, Mo 63147. Our phone number is 314-241-7801. Our fax number is 314-241-8566. United Specialty Alloys keeps a large inventory of over 3 million pounds of steel in stock. Please send your specifications and our highly trained team will complete your order on budget and on time.